The FIU Golden Panthers and the Toledo Rockets meet on Friday when they battle at Thomas Robinson Stadium. 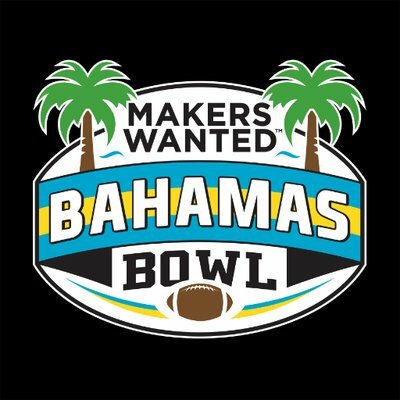 They are playing in the 2018 Makers Wanted Bahamas Bowl. TV: 12:30 p.m. ET, ESPN. LINE: Toledo -7; O/U: 56.5. The FIU Golden Panthers regular season ended on a disappointing note. They lost 28-25 to Marshall and it prevented the school from earning a coveted spot in the Conference USA title game. The Panthers still garnered a well-deserved trip out of the country to play in the Makers Wanted Bahamas Bowl in Nassau. This is FIU’s second straight bowl berth under coach Butch Davis (0-1). It is only the fourth in the program’s history. Toledo has a much richer postseason tradition with eight bowl appearances in the last nine years and 18 overall. FIU stumbled a bit at the finish with two losses in its last four games to fall into a second-place tie in the East Division of C-USA. They still equaled the school record for victories by winning eight games. They have a chance to surpass it with a Bahamas Bowl win. The sentiment was quite a bit different in Toledo. The Rockets soared down the stretch to keep alive their bowl hopes. They won five of their last six contests to extend their streak of winning seasons to nine. Toledo also finished tied for second in the West Division of the Mid-American Conference. These trajectories put the teams on a collision course for the Bahamas Bowl, which annually pits the MAC against C-USA in a series currently even at two wins apiece. Offense will be the name of the game when the teams meet for only the fourth time in their history. The last time came when the Panthers posted a 34-32 victory in the 2010 Little Caesars Pizza Bowl to take a 2-1 advantage in the series. FIU brings in a quarterback somewhat familiar to Toledo. James Morgan threw five touchdown passes against the Rockets in 2016 while starting for Bowling Green. Now he’s lighting it up in his first season with the Panthers. He has thrown for multiple touchdowns in 10 of his last 11 games. The Rockets will counter with an offense that has scored at least 45 points in four of their last five games. They surpassed 50 in three of those games and six times overall this season. The FIU Golden Panthers were 8-4 overall and 6-2 in the conference during the regular season. Morgan proved to be the answer at quarterback this season. He led C-USA in both passer rating and yards per attempt. He threw 26 touchdown passes and just seven interceptions. He saved his worst performance for the Panthers’ biggest game. In the season finale against Marshall he failed to throw a scoring pass for the first time all year and recorded his first multi-interception outing of the season with a pair of picks. While the passing attack grabs most of the attention, the Panthers also have a solid running game. It is led by Napoleon Maxwell and D’Vonte Price. The duo proved its worth by finding some wiggle room against a Marshall defense ranked ninth in the nation against the run. FIU’s defensive front has been pushed around at times this season. They are giving up 4.6 yards per carry. That won’t get the job done against a Rockets team that is relying much more on the ground game. They are averaging 5.3 yards per rush and 223.6 yards per contest. The Toledo Rockets were 7-5 overall and 5-3 in the conference. The Rockets thought they were set at quarterback with Mitchell Guadagni filling the void left by star Logan Woodside. The MAC’s most efficient passer (162.0 rating) missed the last four games due to injury. He isn’t expected to play in the Bahamas Bowl. That puts the job again in the hands of Eli Peters. Toledo hardly missed a beat without Guadagni. The offense still chewed up chunks of yardage. It produced over 430 yards in each of the last five games thanks to a powerful backfield-by-committee. They amassed a total of 677 yards in the last two contests alone. The Rockets expect to continue that success against FIU’s not-so-dominant defensive line. The secondary will face its own challenge trying to contain the Morgan-led Panthers. The unit surrendered over 300 yards passing six times this season. It ranks 102nd in the nation with 257.8 passing yards allowed per game.